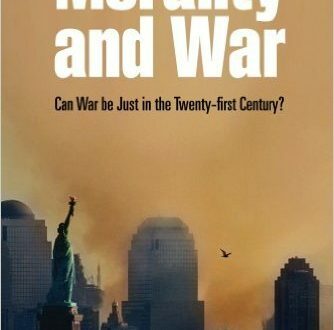 Social Justice Resource Center » Morality and War: Can War be Just in the Twenty-first Century? By David Fisher. Explores philosophical challenges to just war thinking,; the relation between public and private morality; and how it needs to provide guidance not just to politicians and generals but to ordinary service people requiring a new ethical approach, “virtuous consequentialism,” addressing contemporary security issues, such as the changing nature of war, military pre-emption strikes, torture, and humanitarian intervention, concluding that the just war tradition provides not only a robust but an indispensable guide to resolve the security challenges of the twenty-first century. Read more.